In addition to three new iPhone models, Apple also announced Apple Watch Series 4. Using newly added ECG and fall detection, it provides more detailed wellness tracking and allows you to easily initiate a call when detection a hard fall. Ned more features? Let’s keep checking. 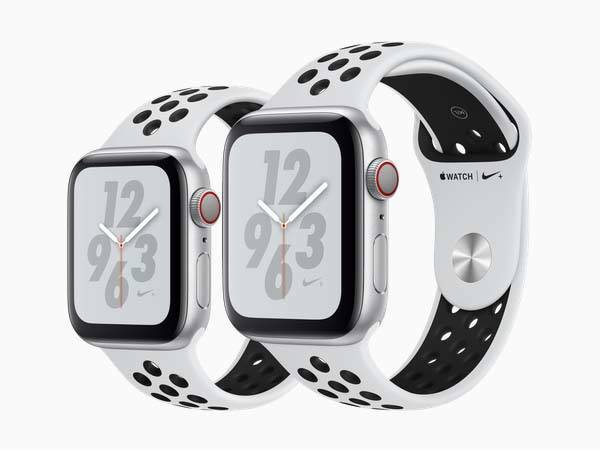 Apple Watch Series 4 has a similar appearance design with other Apple Watch models, but it shows off a larger display (40mm and 44mm) using narrower borders, and a new display technology named LTPO improves power efficiency for one-day battery life on a single charge. Meanwhile, the mechanism of the Digital Crown has also been re-engineered, so the haptic feedback now delivers a precise, click-like feel as you scroll. 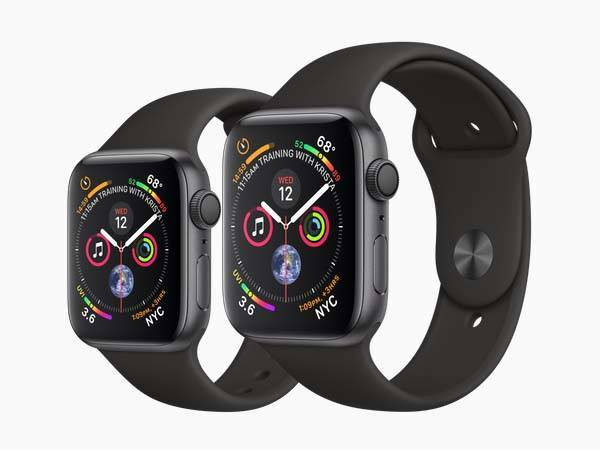 Apple Watch Series 4 comes equipped with an all-new S4 chip that delivers up to 2x faster than Series 3, and it features an electrical heart sensor and an optical heart sensor so that you can use the ECG app to generate electrocardiogram and share it with your doctor at any time. Furthermore, using new accelerometer and gyroscope, Apple Watch Series 4 can detect that you’ve fallen. When it happens, the smartwatch allows you to easily initial a call to emergency services or dismiss the alert. If you’re unresponsive after 60 seconds, the call will be placed automatically and a message will also be sent to your emergency contacts. As a fitness tracker, Apple Watch Series 4 can sense your movement and alert you to start the workout app, and it’s water resistant to 50 meters so you can use it to track both pool and open-water workouts. Apple Watch Series 4 will be available tomorrow starting from $399 USD. If you’re interested, jump to Apple official site or Amazon for its more details.